Ever Feel Resentful Towards Your Kids? Here in Oz, we are in the midst of our long summer school holidays. And I had recently started to feel RESENTFUL. 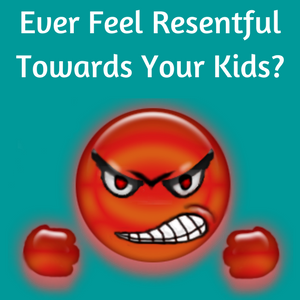 And then I figured that I probably wasn’t alone…..
do you ever feel resentful towards your kids?! Resentful that my days seemed to consist of just cooking, cleaning & tidying up all. day. long…..
And hugely resentful that my 8 year old wasn’t being grateful for all that I was doing to make her summer holidays fun. I believed that I couldn’t give my children a gorgeous, fun summer holiday and still work. Once I’d realised this unconscious belief was running the show, my rational mind could start to question it and I was in a much better position to decide whether I really thought it was true. I don’t. And so I could start to take action to help me counter this seemingly deeply-held belief. I also realised (again!) that I need to be fulfilled FIRST before I can create fulfilling experiences for my children. So I am now working whilst my children are with the babysitter and I love it! I know they are happy and that I will be a much more patient, fun & relaxed mum when I finish. 1. What are YOU feeling resentful about? 2. What belief is underlying that resentment? What ‘should’ is there? Don’t worry if it’s not logical – that’s often the way with these types of powerful beliefs. 3. See if you want to still believe that belief or ‘should’. 4. If you don’t, explore what the alternative may be. Could the opposite be true? 5. Look for what you need. Give that to yourself. The more you can give to yourself, the more you can freely & genuinely & lovingly give to your kids. So today’s video is all about resentment and what you can do to turn the situation around if you are feeling resentful towards your kids. And if you do ever feel resentful, post below about what it is and what you’ve done to help turn the situation around.